With rapid advancement of communication technology, almost every young adult utilizes email, cellphones, and texting. Modern communication technology (MCT) has become an indispensable device among young adults. However, it is unclear the extent to which older adults have adopted such MCT in their daily lives. Less is clear whether or not adoption of such MCT by grandparents has influenced their relationships with grandchildren. The current study, based on an IRB-approved online survey conducted at a midsize university in the Midwest United States of America, examined young adult grandchildren’s (N = 470) perceptions of their relationships with grandparents and how they may relate to grandparental use of MCT. Cellphones (71.7%) were most widely adopted by the participants’ grandparents, followed by email (42.6%); only 11.9 percent of the participants’ grandparents were texting users. Grandparental gender effects were revealed in their adoption of MCT. Path analysis, a form of structural equation modeling, revealed that the length of grandparental adoption of these devices positively predicted GP-GC communication frequency, which subsequently predicted GP-GC closeness. Implications of the findings are discussed. Hakoyama, Mikiyasu, and Eileen MaloneBeach. 2018. "Grandparental Adoption of Modern Communication Technology and Its Impact on Grandparent-Grandchild Relationships." The Journal of Communication and Media Studies 3 (4): 21-38. doi:10.18848/2470-9247/CGP/v03i04/21-38. HIV/AIDS has taken a devastating global death toll, but it has also engendered far-reaching social consequences. HIV/AIDS has significantly reshaped media agendas, drawing public attention to the evolving medical and social devastation of the disease. In less than four decades, HIV/AIDS rose from obscurity to a cultural catalyst that restructured social institutions and irrevocably changed public discourse across the globe. Words and images once considered taboo routinely appear in all forms of mass communication, pervade children’s education, influence personal relationships, and affect public policy. The post-HIV/AIDS world is a vastly different place than it was before the 1980s. The struggle to communicate across cultural divides, to foster tolerance and promote human rights for HIV-positive people continues, but the conversation is taking place in public forums, using specific words and images. This article explores how HIV/AIDS profoundly changed society’s cultural institutions by transforming media and public discussions about the disease. Massingill, Ruth . 2018. "Taboo Topics Transformed: How HIV/AIDS Profoundly Altered Public Communication." 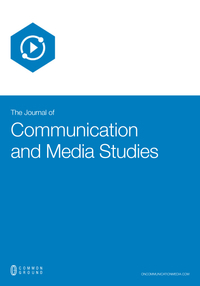 The Journal of Communication and Media Studies 3 (3): 1-15. doi:10.18848/2470-9247/CGP/v03i03/1-15.